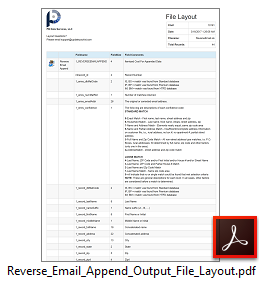 Append name, address, and phone number to the email addresses of your customer records. Real-time access to a high quality, permission-based, national email address file with over 198 million records populated with contact name, address information, and telephone numbers. 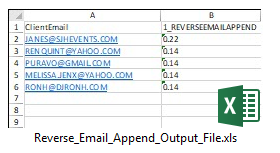 Processing includes 7-step email validation that queries the receiving email box to ensure deliverability. Speed-to-market and information accuracy are critical to your email marketing campaign’s success. The UpdateYourList.com DIY Portal allows you to instantly append name, address, and telephone number information to the email addresses in your customer and prospect files in real-time to get the most out of your contact records. 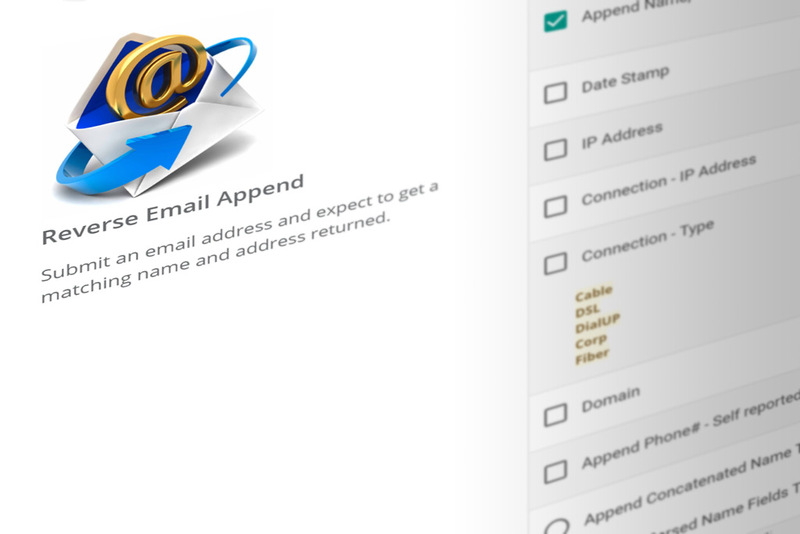 The email append process utilizes one of the largest repositories of email address with input records at over 2 billion. Proprietary 7-step validation process identifies addresses known to be associated with spam traps, invalid emails and domains, role accounts, complainers, known hard-bounces, and more.